Do your research. Visit college campuses. Sit in on classes. Talk to professors, graduates and students. In the end, picking a college "is a very individual decision." The first lady could just as well have been talking to her older daughter, Malia, who is expected to head off to college next fall with the Class of 2020. The 17-year-old is among U.S. high school seniors who are nervously taking standardized tests, completing college admissions applications, filling out financial aid forms and writing personal essays - all on deadline. Then they get to spend a few months waiting to find out if they got into their dream school. She also doesn't have to worry about how to pay for her college education. That is unlike many of the students President Barack Obama and his wife regularly encourage to pursue post-high school education. 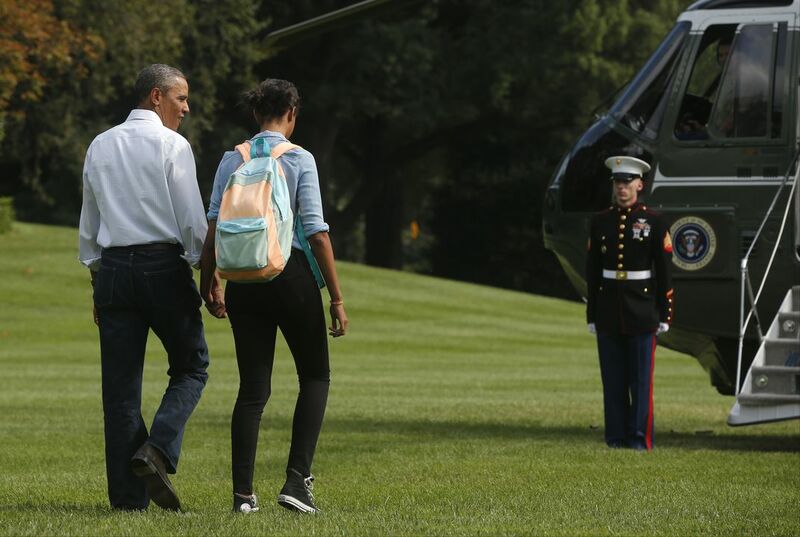 Malia has visited at least a dozen public and private schools. Most are on the East Coast. Among them are six of the eight Ivies and a few with Obama family ties. Dad is a 1983 graduate of Columbia. Mom graduated from Princeton in 1985. Malia's cousin, Leslie Robinson, is a sophomore forward on Princeton's women's basketball team. The president and first lady earned their law degrees at Harvard. It shouldn't surprise her parents, though. 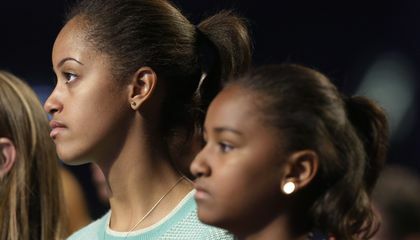 They've paid hefty tuition bills for the past seven years to send Malia, and her younger sister, Sasha, 14, to the exclusive Sidwell Friends School. Tuition at the private school in Washington is $37,750 per student this year. The Obamas planned ahead for their daughters' college educations. Like millions of families, the Obamas have been investing money in "529" college savings plans. They are named after a section in federal tax law. The couple has four of the tax-free savings accounts, each valued at between $50,000 and $100,000. That's according to the president's financial disclosure forms. Mrs. Obama has said Malia wants to be a filmmaker and NYU has the respected Tisch School of the Arts. It counts directors Martin Scorsese and Spike Lee among its alumni. Malia spent last summer in New York City interning on the set of HBO's "Girls," the comedy-drama starring Lena Dunham. She retreated to California in the summer of 2014 to work as a production assistant on "Extant," a CBS sci-fi drama featuring Halle Berry. President Obama was in Malia's room the day she started her senior year of high school and says she told him it was probably the last time he'll ever send her off for a first day of school. "I had to look away. I didn't want to just be such a crybaby," he said in September in Michigan while pushing for free community college. "It makes no sense. Michelle and I are way too young to have daughters who are both almost in college now. So as a parent, I was a little freaked out." Through her "Reach Higher" initiative, Mrs. Obama encourages students to attend college or technical school after high school. During a panel discussion in September at Howard County Community College near Baltimore, students sought her advice. They wanted her opinion on everything from how to figure out which school is best for them to what tips she's giving her daughters. I think it is unfair. I think it is unfair because every college will accept her because she is the president's daughter. I wish I could be the president's daughter. I think it will be great to live in the white house. I think it will be like a palace to live in the white house. One day, I want to be in the white house. I think it'll be a very uncomfortable place to live in the white house too. I think it will be uncomfortable because someone will try to kill you because you are the president's daughter. Casue She also doesn't have to worry about how to pay for her college education.Obama and his wife to post-high school education. Malia isnt worried about college costs because she is very smart and she gets good grades and i'm sure her teachers are very good to her. Barack Obama and Michelle Obama have it covered, they will know what to do and they will help malia out. She isn't worried about college costs because shes the presidents daughter and he pays for the college. Malia is not worried about the college costs because the president Barack Obama and his wife regularly encourage for there child to have a pursue post-high school education. Malia Obama should have zero problems to attend a school. First off she's the president's daughter and will likely not be rejected. Malia Obama isn't worried about college costs because she is the president's daughter and her dad will just pay for her tuition. As stated in the article her father is the president and her father makes $400,000 a year and he's been running for 8 years. I found this article interesting because I'm myself wondering where she will go.